The Internet has allowed people who would not normally meet one another in their everyday lives to connect and actually start meaningful relationships together. In fact, there are more and more people using the World Wide Web (and you may be one of them) to start and maintain romantic relationships completely online, without meeting their partners face-to-face and sometimes, without even speaking to their new mates on the phone or engaging in video-chatting. Yes, you read that last sentence correctly- some people maintain romantic relationships completely through chat rooms, instant-messaging, Facebook-posting, and emails. These non-traditional relationships confuse many people and some of us may wonder if they are able to last. Early research went as far as claiming that online relationships were "inauthentic" (e.g., Chenault, 1998). But more recently, researchers have claimed that online communication between partners can allow for greater levels of closeness than we once thought. Many individuals who enegage in these online romances do eventually meet one another in person, but some don't. So what makes those relationships successful? How do they last as long as they do without any face-to-face contact? This unique population (i.e. couples who meet online and then remain in online-only relationships) has started to receive attention by researchers in recent years. In 2006, for instance, researchers Traci Anderson of Bryant University and Tara Emmers-Sommer of the University of Nevada-Las Vegas published a study that examined the contributing factors to online relationship success. In particular, the researchers looked at how commitment, intimacy, trust, attributional confidence (i.e. one's perceived level of certainty about the expected behaviors of their online partner), and communication satisfaction (all of which are extremely important in traditional face-to-face relationships) predict relationship satisfaction in online romances. This study surveyed 114 people who reported being in a relationship that was started online and continued to exist only in an online setting (i.e. no one had met their partners face-to-face, video-chatted, OR spoken to their mates on the phone). Maybe even more interesting was the fact that the average relationship length of these online couples was 6 months! I don't know about you, but that seems like a long time to not even talk on the phone. 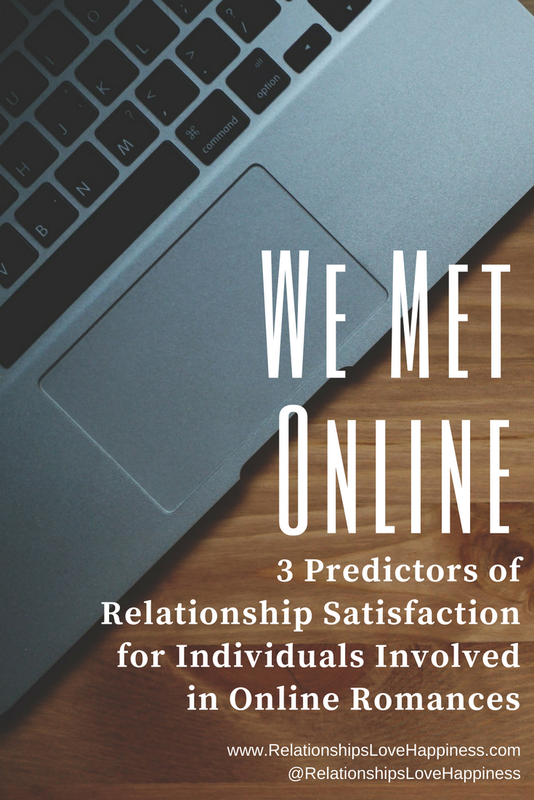 The study revealed that intimacy, trust, and communication satisfaction were the three main predictors of relationship satisfaction in online relationships. Based on these findings, if you're involved in an online romance, it's important that your relationship includes these three ingredients to succeed. One of the best ways to integrate these components into your online relationship is to engage in frequent, open, high-quality communication with one another. You want to have meaningful conversations (even if you are not actually verbally talking to one another) about yourself (your beliefs, attitudes, and values), your experiences (past, present, and those that are expected in the future), your relationship (why you like it, what you want to work on, where it's going, etc. ), and anything else that's on your mind. All of these discussions can elicit feelings of intimacy with your mate and trust can build when you both begin to reveal more personal information with one another. Remember, in online relationships (especially online-exclusive relationships), communication via emailing, instant-messaging, chat-room-chatting, and facebook-wall-writing IS the relationship. Furthermore, individuals who only exchange written information and lack other message cues (like tone of voice, volume, pitch, rate, etc), are "likely to attend more closely to the textual messages sent by one’s partner, while at the same time the partner is likely editing and presenting oneself carefully, thus leading to the ‘‘idealized’’ perceptions of one’s communicative partner" (Walther, 1996). 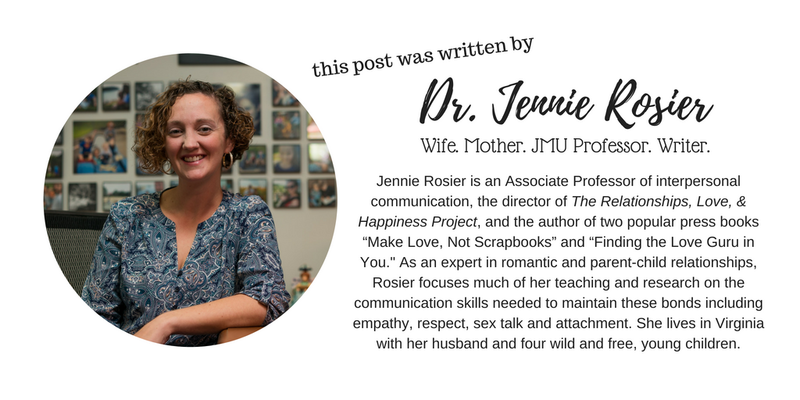 Basically, people in these types of romances may have better communication because they have more time to craft really good messages before sending them and they also have more time to carefully interpret what their partner intended. This has the potential to lead to less misunderstandings and maybe even less conflict (at least conflict that is based on what a partner has said). When we experience less communication-based conflict and we understand one another better, we tend to be more satisfied with the communication that has taken place. Unfortunately, if this is not how the partners actually communicate when they meet one another face-to-face, conflict could occur and relationships may not be as strong as they once were. Frequently and openly discussing your life experiences, future plans, and deepest thoughts with your online partner is the best, and many times only, way to maintain your online relationship. Do you communicate a lot with your partner online? Or even better- are you in an exclusively-online relationship? I'd love to hear about how you maintain that relationship. What do you do to be romantic? How do you create intimacy? What do you do to make up for a minimal to complete lack of physical contact? Anderson, T. L., &amp; Emmers-Sommer, T. M. (2006). Predictors of relationship satisfaction in online romantic relationships. Communication Studies, 57, 153-172. Chenault, B. G. (1998, May). Developing personal and emotional relationships via computermediated communication. Computer Mediated Communication Magazine.